Honeyville's Wheat Protein Isolate is prepared by removing starch from wheat flour and carefully drying the remaining high protein fraction to retain the viscoelastic properties. Honeyvilles Wheat Protein Isolate is highly effective in applications where strength, elasticity, exceptional functionality and high protein content are all required. Wheat protein is added to bread dough to obtain a better rise/strength/chewiness. 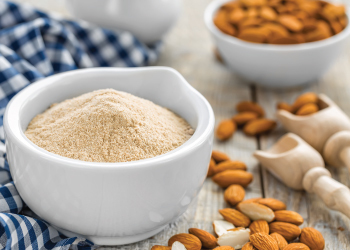 For low carbohydrate applications, wheat protein isolate is an excellent additive to non-wheat flours, like Almond Flour, to maintain the gluten like characteristics of flours that lack gluten. Honeyville Wheat Protein Isolate is an ideal product for your baking needs. Shelf-Life: Wheat Protein Isolate will store for 2 years in a sealed bag under ideal storage conditions (cool, dry place). Uses: Wheat Protein Isolate can be used in low-carb foods, breads, rolls, tortillas, cereals, batters, pastas and more. 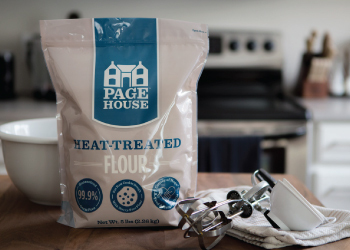 Packaging: Wheat Protein Isolate in bulk is available in both a 5 pound bag and a 50 pound bag.